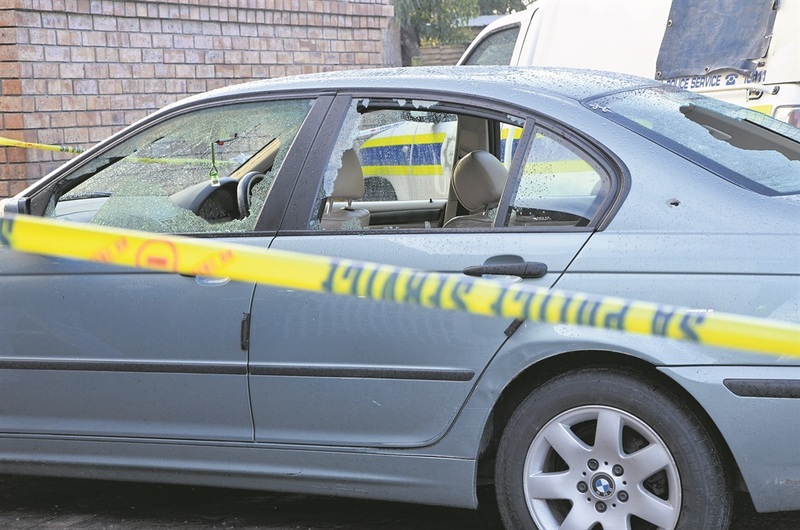 AN off-duty cop (45) was the target of a drive-by shooting on Friday afternoon in Gugulethu, Cape Town. One of the shots fired at the captain’s BMW hit and instantly killed his 10-year-old grandson! Witness Nonkululeko Zici (40) told Daily Sun she was on the way home when she saw a car speeding past. “At first I thought it was criminals running away from the police,” said Nonkululeko. The wounded cop apparently managed to drive all the way to Nyanga Police Station, where he’s stationed. When the SunTeam arrived at the cop shop, the BMW was still parked in front of the gate, its windows shattered. Western Cape police spokeswoman Sergeant Noloyiso Rwexana said the motive for the attack was not known. Rwexana said the cop was travelling with three passengers in the car. “Three suspects shot at the vehicle in which the victims were travelling,” she said. She said no one’s been arrested yet. “The cop was rushed to a medical facility for treatment,” she said. Rwexana asked anyone with information that can assist police with their investigation to call 10111.